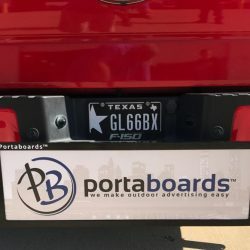 Portaboards offers a variety of easy and convenient mobile billboards that can help you advertise for your business simply. 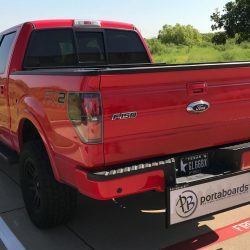 These truck and hitch products are a quick and effective way to spread the word about your business on a high-quality billboard. Learn more about these two billboard styles and contact us today! Designed to fit conveniently into the bed of any size pickup truck, our truck billboards are a truly mobile advertising option. For added convenience, these portable signs can become a free-standing billboard simply by adjusting the legs to heights of 20”-30”. 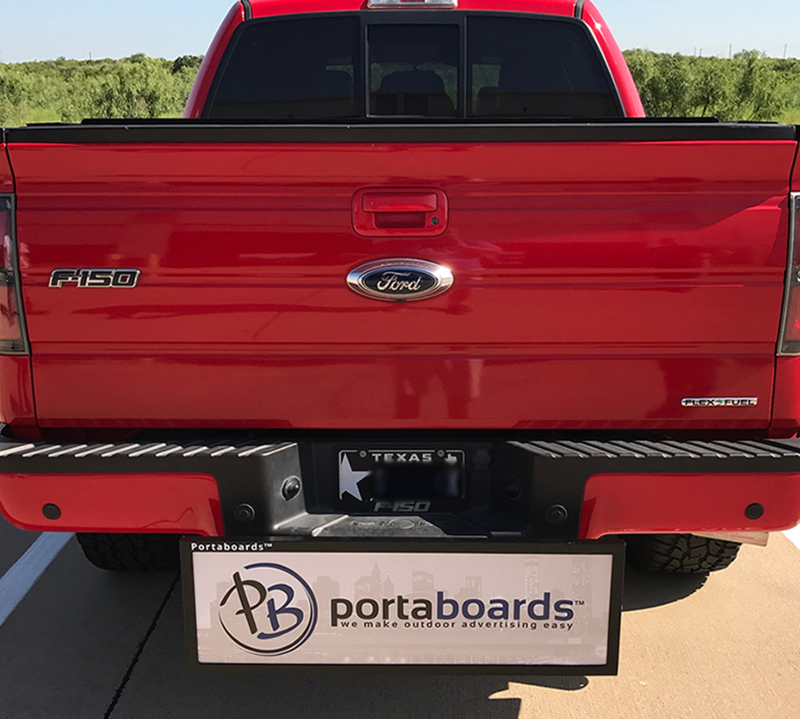 Take your advertising on the go and reach your customers wherever they are with truck billboards from Portaboards. Check out our mobile truck billboards now! 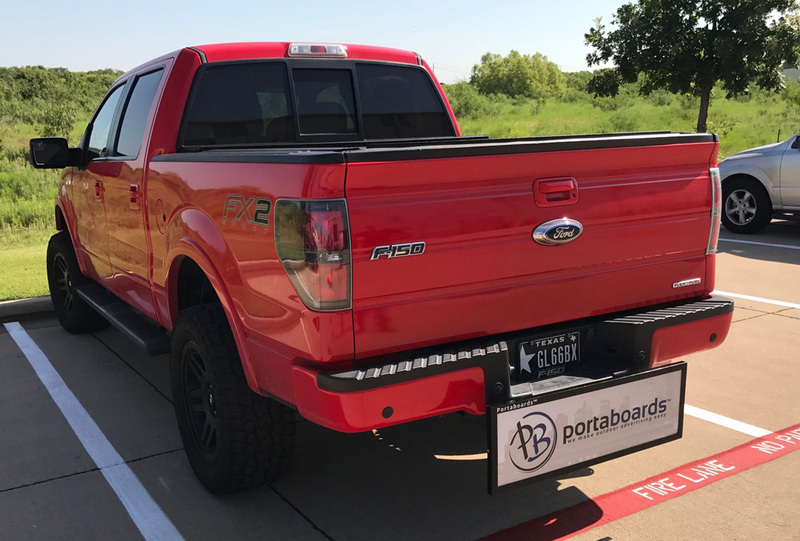 The 3’x6′ Portaboard truck billboard is designed to conveniently fit into the bed of any short bed pickup truck. This is an easy and convenient way to advertise your business. 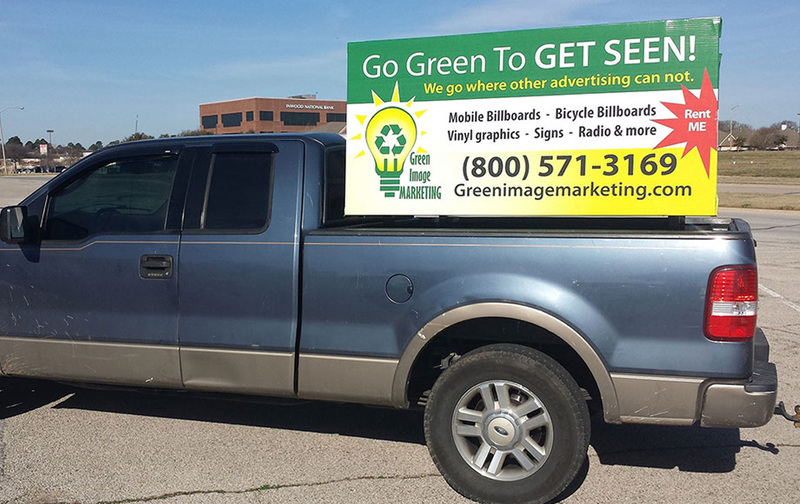 The 3’x8′ truck billboard is designed to fit into the bed of any short bed pickup truck to make advertising simple! Start advertising your business wherever you go with this mobile billboard. Our 4’x6′ mobile truck billboard is designed to conveniently fit into the bed of a short bed pickup truck. This is an effective and simple way to advertise your business, products, or an event! This 4×8′ Portaboard mobile truck billboard will fit into the bed of any short bed pickup truck for an easy and convenient way to advertise your business no matter where you go! 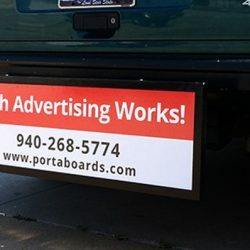 Now you can truly take your mobile advertising with you wherever you go with hitch billboards from Portaboards. Available in three convenient sizes, these portable signs can help you reach customers whenever and wherever. Now, that morning commute is being put to good use as these handy and visually appealing hitch billboards catch the eye of drivers all around you. Contact us today to learn more! 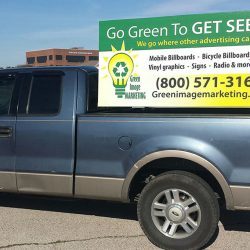 This 12″x36″ hitch billboard is a great way to advertise your business every time you drive! The small billboard is easy to display no matter where you are traveling. 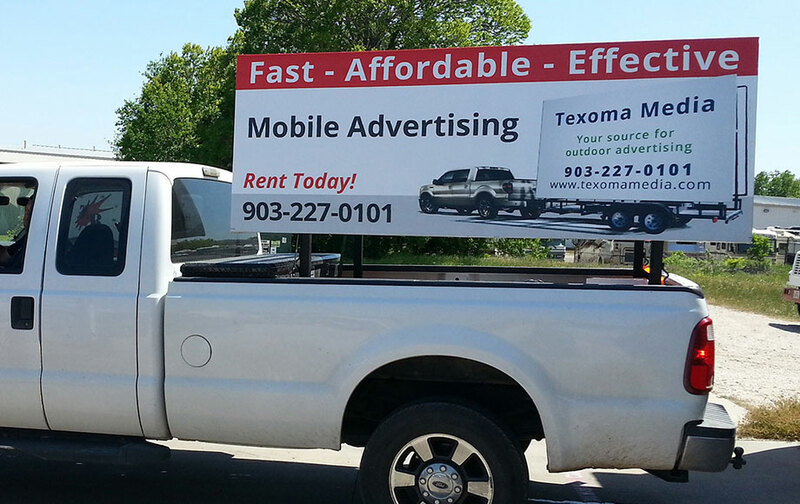 The 18″x36″ hitch billboard is a great option for your advertising, especially if you are always driving around town! 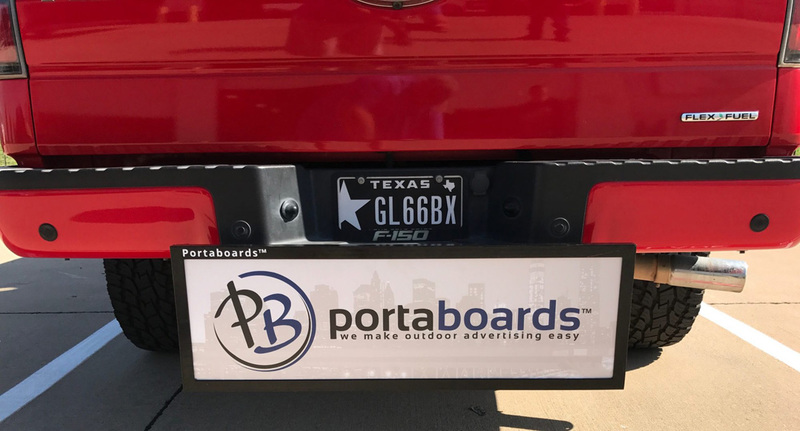 Add this small and high-quality billboard to your truck hitch today! 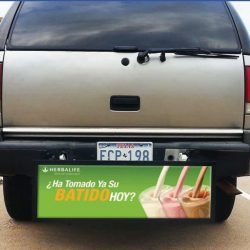 With the 24″x36″ hitch billboard, you can advertise your business easily and effectively. 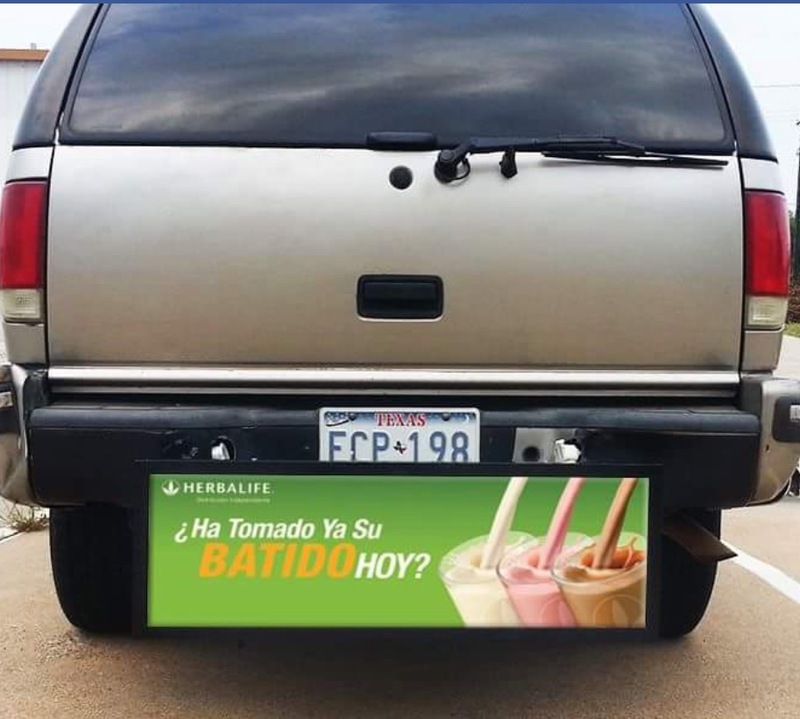 This large hitch billboard can allow you to reach your customers no matter where they may be.